Brigham Young High School in Provo, Utah, was originally called Brigham Young Academy. Its doors were first opened in January of 1876 in a building called Lewis Hall. The Academy was a secondary school that grew over the decades to include all primary, intermediate and secondary grades, K through 12. In the late 1890s, BYA began to include a few students at the one-year collegiate level. The original Academy was a private school not directly sponsored by the Church. Supportive community and local LDS Church leaders provided a portion of the financial backing of the institution for many years. The Academy's landmark building was dedicated in 1892. In 1896, the LDS Church elected to become the direct sponsor of the Academy and thereafter gave the funds necessary to support it. 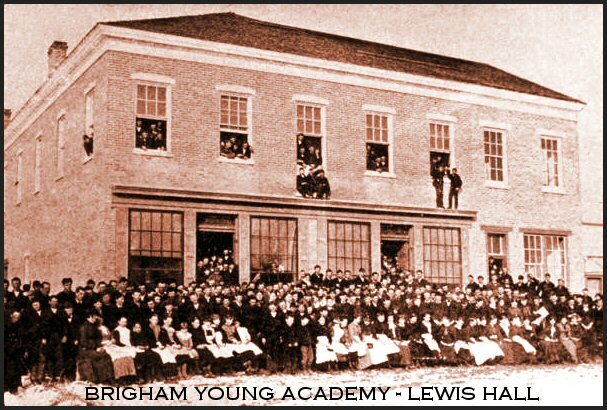 During the 1902-1903 school year, the name "Brigham Young Academy" was used for the last time. Church authorities gave permission to dissolve BYA. 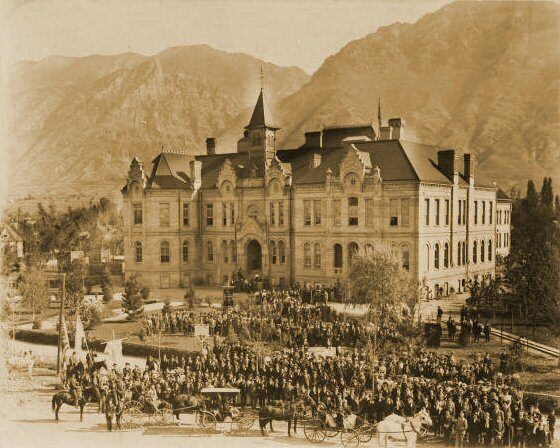 Beginning in the 1903-1904 year, the school adopted two new names: "Brigham Young High School" continued the school's secondary mission, and a brand-new "Brigham Young University" began its fledgling mission to provide higher education. In this new structure, BY High served as the heart of the BYU College of Education. Master teachers in the College of Education worked with many generations of students and student teachers in the classrooms of BY High, helping future teachers to launch successful careers in secondary school teaching, school administration, business, music, and religious education. A large body of research and testing added to the usefulness of this "laboratory school" on the Lower Campus. During the nine decades of its existence, BY High principals sought to recruit a K - 12 student body diverse enough to challenge both teachers and student teachers. Some students were children of faculty, but many others came from surrounding communities. Most students were LDS. Those not LDS promised to live by LDS Church standards. Brigham Young High School was known for its warm heart, strong school spirit, and special opportunities derived from its relationship with BYU and the LDS Church. It was also known for its ability to field speech teams and athletic teams capable of competing successfully with much larger high schools in the state. In the early part of the century, it was not uncommon for a BYH senior class to graduate with 100 to 200 students. In recent decades, most BYH senior classes had only 25-30 male and 25-30 female students. 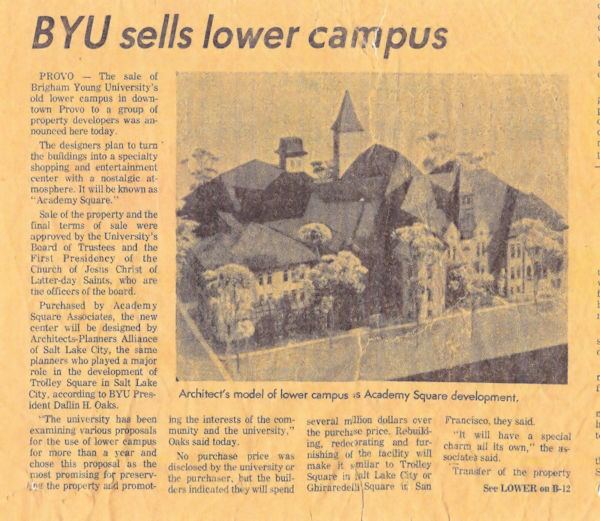 BYU and BYH flourished side by side for more than six decades, but late in the year of 1967, BYU leaders abruptly reversed their stated course and decided inexplicably to close the high school after Commencement 1968. At that point, the BY Academy secondary program and BY High School had served high school students and student teachers continuously for 92 years. The venerable old school was within just a few years of reaching its long-awaited Centennial. 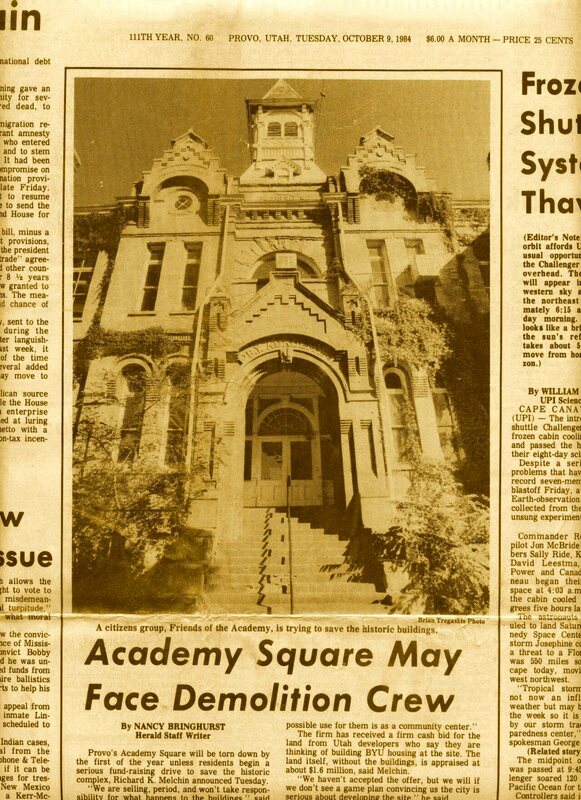 BYU sold its alma mater Lower Campus on Academy Square in 1975, seven years later. For decades after that the historic Brigham Young Academy buildings stood empty, unprotected and deteriorating at an alarming rate. People who loved Brigham Young Academy, Brigham Young High School, and BYU history joined together and campaigned to save the campus. Just when failure seemed certain, with bulldozers in place and ready to move in, they miraculously won a reprieve. The original 1891 BY Academy building has now been beautifully renovated and serves as the flagship of the beautiful Provo City Library at Academy Square. Sadly, the other historic campus buildings were bulldozed. 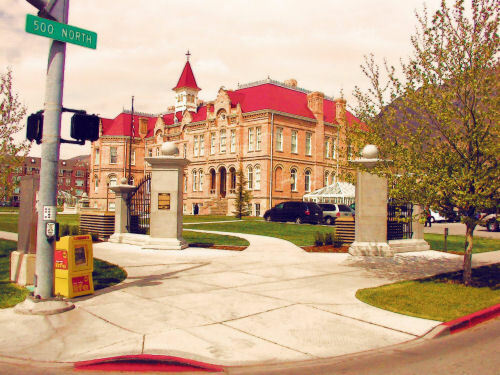 As alumni of Brigham Young High School, however, we're deeply grateful to every person and organization that worked so hard to save the most historic building on the old Lower Campus, and we support the mission of the Provo City Library at Academy Square.